Most Innu know how to call a goose: when spring returns, they salute them cordially and eat a few. 3:37 min. - In the past, goose-hunting season corresponded to the time when we returned towards the sea, and we often joined other Innu groups who were hunting geese. Things are different today, but we still hunt geese. 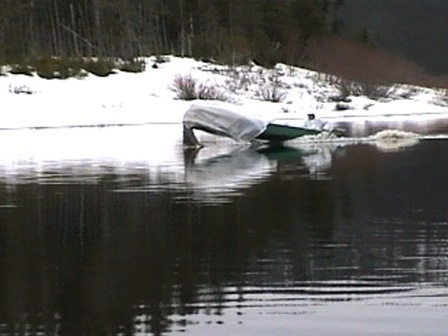 Once the rivers are free of ice in the spring, the Innu use all kinds of strategies to get as close as possible to the wild geese in their motorboats. They are careful to camouflage the boats with spruce branches.